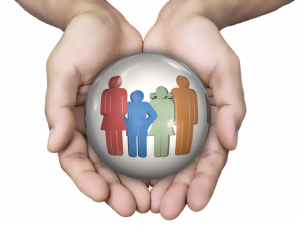 What Is The Connection Between Life Insurance And Genetics? Life insurance is a product that you might consider if you have a spouse, children, or those that depend on you. This is especially true if your ability to generate income is something they very much rely on. The right life insurance policy can provide money and financial security for your family in the event of your untimely demise, letting your spouse stay in the same home and possibly providing college educations for children and offspring, or even care for disabled or infirm elders according to your estate plan. Genetic testing is something that can happen in the medical field. It’s a growing science, but the mapping and decoding of the human genome are starting to let doctors and scientists find genes that give people a predisposition to certain conditions, ailments, illnesses, and even specific diseases. This allows them to customize treatment on an individual basis, allowing for longer lives and better quality of life. Unfortunately, while these two things are individually beneficial to individuals, together they can actually create a conflict, ranging from a headache to even a serious problem. It’s great if you’re looking to be proactive about possible health risks, and genetic testing can certainly help with that, but you might want to not get that done until after you’ve lined up a life insurance policy that’s active and likely to remain with you for a long time. After many years of advocacy, the Genetic Information Nondiscrimination Act was passed in 2008. It’s supposed to prevent employers and health insurance companies from doing anything discriminatory just based on any information a genetic screening might uncover. Unfortunately, GINA, as the bill is called, only protects against discrimination in the areas of employment and health insurance. It doesn’t protect against discrimination in other insurance areas such as long-term care, disability, or life insurance. Even more regrettable is that less than 1 out of 4 consumers knows this, thinking they are protected by law. Life insurance providers price their policies based on risk calculation. Many already require physicals, and you’ll face higher rates if you’re overweight, smoke, or conduct risky activities, depending on the provider. Their actuaries are likely to ask about genetic information, if it’s available. Anything done through your doctor or a hospital is likely going to be covered by medical privilege, but the rise of at-home and retail tests is creating databases of information that are not under privilege. 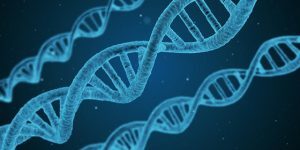 As of the time of writing, there is yet to be a case of a DNA testing company to voluntarily provide such information to life insurance providers, but in an age of declining privacy and mass data, many fear it’s only a matter of time until life insurance companies require genetic testing in order to price policies. A strong fear is that some consumers might be declined policies completely based on something totally out of their control. 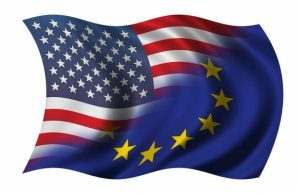 Did You Hear About The US And EU Working Together On Insurance Law? Known as a covered agreement inside the United States, the American government and the European Union have signed a bilateral agreement regarding both prudential insurance and reinsurance measures. Both parties on opposite sides of the Atlantic consider this agreement to be a sound step moving ahead in cooperation between the United States and the European Union regarding both insurance and reinsurance. A joint statement was released on the matter where officials from both sides claimed that the agreement would benefit insurers, reinsurers, and consumers with protections and regulatory certainty across both economies. Talks to negotiate the agreement started in 2015 during the Obama Administration, and the final deal was announced in the middle of January 2017, in the waning days of that presidential administration. The agreement covers a trio of insurance oversight areas. They are namely first reinsurance, secondly group supervision, and thirdly the exchange of any insurance information among involved supervisors. This agreement is in alignment with the terms and conditions laid out by Article 218 of the Treaty on the Functioning of the EU. It also meets the legal definitions of a ‘covered agreement’ as established by the Dodd-Frank Act. The agreement covers many points, but one of them in regards to reinsurance is the elimination of local presence and collateral requirements for reinsurers operating in the markets across the ocean from one another. Also, in terms of group supervision, insurers operating on the other side of the ocean will be subject to global insurance group oversight involving supervisors from their home jurisdictions. This agreement is also intended to encourage the insurance supervisory authorities of both America and Europe to keep exchanging supervisory information and data regarding both insurers and reinsurers. A provisional application is a next step for starting to institute the document. The EU must now involve both the European Parliament and the Council in order to conclude this arrangement, per the Treaty on the Functioning of the EU. The U.S. Treasury Department is taking point on the western side of the Atlantic, releasing a fact sheet about the arrangement and providing the full finalized legal text to the legislators and staff of Congress, as dictated by language in the Dodd-Frank Act. While Brexit seems to be shrinking the size of the EU, and many Western nations show nativist and populist tendencies in recent elections, diplomats and officials of some of the world’s largest economies are working together to keep the global economy functioning smoothly and integrated. On January 13, the United States and the European Union came to terms regarding the Insurance Regulation Pact. This pact effectively increases the market for both U.S.-based and EU-based insurance and reinsurance companies while eliminating the complications of collateral or local presence requirements when dealing within the international market. It also maintains the United States’ state-based insurance industry model and protects it by a measure within the pact that assures primacy dependent upon the company’s home policy. That is to say, US-based companies, even if operating within the EU, will still follow United States (and more specifically, the individual state’s) policies. Whereas insurers and reinsurers will adhere to EU policies even if operating within the United States. The United States was subjected to a financial crisis in 2007 through to 2010 under the Obama administration. As a result, the government was required to bail out financial institutions to the amount of several trillion dollars throughout the nation. It was regarded as the worst financial crisis the country had endured since the Great Depression nearly 80 years prior. Amid this crisis, President Obama proposed a bill that would dramatically alter the regulatory systems of the financial industry. It would later come to be known formally as the Dodd-Frank Wall Street Reform and Consumer Protection Act. The main purpose of this legislation was simply to protect American taxpayers in the event of another financial crisis, that they would not suffer the brunt of the repercussions if Federal banks required another bailout such as that required in the preceding financial crisis. It consolidated and employed new agencies to oversee specific institutions that were seen as a “systemic risk.” It increased transparency and put in safeguards and warning systems regarding the stability of the economy. It also closed legislative loopholes that were said to be at fault for the financial crisis of 2007. However, there are those in the Trump administration, including President Trump himself, who are strongly opposed to this legislation. The administration claims that it impacts banks negatively by discouraging loan approvals, and thus it impacts the consumer at the base level negatively as well. Those who might seek personal loans for expenses or to start businesses and create jobs, those who have established businesses that may wish to expand and create more jobs, are impacted negatively as a result of the Dodd-Frank Act. While many are focused on the protections afforded the United States citizens and whether or not they conflict with the forward interests of American financial institutions, there are some who wonder at the implications of the insurance sector rather than strictly the financial sector. Would the Dodd-Frank Act alter the methods of operation for a state-based insurance industry? Would President Trump consider these implications in his effort to repeal or modify the Act? Many believe the President agrees with and supports entirely the notion of the state-based industry considering he has not yet spoken out against it. The Financial CHOICE Act would effectively negate many of the items put forth in the Dodd-Frank Act. Its goal would be to give more freedom to the financial institutions by simplifying the processes of regulation and encouraging competition while maintaining consumer protections and restricting government bailouts to the financial institutions. Though, some believe that there is still not enough reform to the insurance industry. Or at least, not enough assurance for the current maintenance of the state-based insurance industry. The only significant change proposed in the Financial CHOICE Act bill was the merger of two positions within the hierarchy. There is also speculation of insurance companies which maintain the classification of SIFI (Systemically Important Financial Institutions) – and are therefore affected by articles in the Dodd-Frank Act – to have this label rescinded based on a court case brought forth by MetLife. While the Trump administration has focused more intently on health care reform in the past months, there is still a focus on dismantling Dodd-Frank, and only time will tell if the the Financial CHOICE Act that hopes to repeal and replace it will include significant insurance reform as well. What Happens to Insurance After A Divorce? Apprising and dividing your assets is something that comes with getting a divorce. But what happens to your insurance? Do you keep it? Do you have to pay for your ex-spouse’s insurance? Depending on the type of insurance, you may be allowed to stay on the same plan as you ex-spouse or you may have to enroll in your own plan. Health insurance is something that should be discussed in the divorce settlement. If your ex-spouse provides insurance for you and your children, if you have children, you can fight for your spouse to keep you on their plan in the divorce settlement. If you are the spouse that provides your family with health insurance, you may be charged an extra premium every month for your ex-spouse and children, if there are any involved. Another aspect of health insurance that needs to be discussed in the divorce settlement is COBRA. COBRA is only applicable in a situation where the employer has 20 or more employees. Cobra allows you to stay on your ex-spouse’s plan for up to 36 months. It may not be all it’s cracked up to be, you will be responsible for paying the full premium for your coverage without any help from the employer. The administration that provides the insurance must be notified within 60 days of the divorce or legal separation. 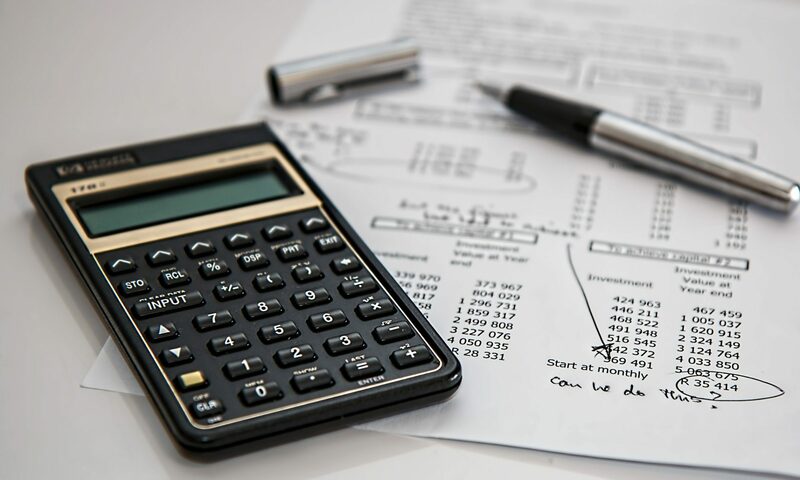 After creating your post-divorce budget, you may find it to be cheaper to either inquire with your employer about their insurance packages or to get your own insurance. Your best bet financially is if your employer provides health insurance benefits. Signing up for your employer may allow you to get better coverage with some and provide some financial relief with your employer taking on part of the monthly cost. In the event of a divorce, your ex-spouse and yourself may need to open a new life insurance policy. If there are financial agreement, like alimony or child support, included in the divorce settlement, you may want to require your ex-spouse to list you as a beneficiary. This is important because, in the event of his/her death, the payout from life insurance can be used in replace of child support or alimony. If there are no financial agreements in place, you do not have to list your ex-spouse as a beneficiary and if you already have a plan, you can remove them as a beneficiary. According to the American Institute of CPAs, disability insurance should be a top priority for anyone who collects an income. Did you know it is more likely for an individual to be disabled for 90 days than it is to for an individual to die before retirement? Disability insurance is in place to pay you in the event of an injury that prevents you from working and collecting an income. If you are financially dependent on your ex-spouse (relying on alimony and child support), you may want to include a require the to have disability insurance. After you decide on where the cars are going, you are going to have to get a separate policy from your ex-spouse. When you and our ex-spouse purchase separate policies, you are going to lose discounts that go along with being married. If there are any teen drivers in your household, it is advised that they are included in both policies. Home insurance is one of the less complicated policies to figure out. If you are awarded the home in the divorce, then you will be required to pay for the home insurance policy. If you are moving to an apartment, you might want to look into renters insurance. Renters insurance covers both your belongings, liability and damages. Liability includes if someone is injured and your apartment. Damages can include a broken window or damage from a disaster, such as a fire. Going through a divorce is complicated and can take a toll on you, both physically and emotionally. You are going to need help getting your new life set up. You may have been covered by your spouse’s insurance policies for the tenure of your marriage, but now you want to know where to go for insurance. Contact one of our family law attorneys; they have the expertise necessary to help smooth the transition from married life to post-divorce life.